Provides distributive service for pharmacy department, serves as mentor for Technician students, and assists to ensure proper drug storage and maintenance to meet regulatory compliance. • Refills and maintains automated dispensing systems and medication carts/boxes. • Prepares/fills orders and receives inventory for the pharmacy department and drug storage areas. • Delivers and/or picks up medications and medication orders. • Assist with customer service needs, including answering telephones and managing work ques. • STANDARDS OF BEHAVIOR: Acts in a manner that supports the standards of communication, respect, privacy, and teamwork by demonstrating a commitment to professional and ethical conduct. • CUSTOMER SERVICE: Demonstrates commitment to service excellence by promptly addressing internal/external customer issues/requests, resolving concerns while maintaining a professional image and behavior to build and enhance the patient/family/customer experience. • ACCOUNTABILITY: Accepts ownership of job roles and specific assignments/goals; works independently, takes responsibility for own actions; admits mistakes and judgment errors; and accepts constructive feedback. Connects personal work results to the accomplishment of team and organizational goals. • RESPONDING TO CHANGE: Accepts change and adapts in a positive and productive manner; handles unexpected situations and changes in direction calmly and with confidence. Views new assignments and job responsibilities as an opportunity for growth. • INSURANCE VERIFICATION: Verifies and enters insurance information and authorization/referral requirements. • MEDICATION DISPENSING: Follows defined policies and procedures when dispensing medications. • ACCURACY: Completes work assignments within established quality and/or quantity standards. • PROBLEM SOLVING: Ability to identify, analyze and effectively solve problems. 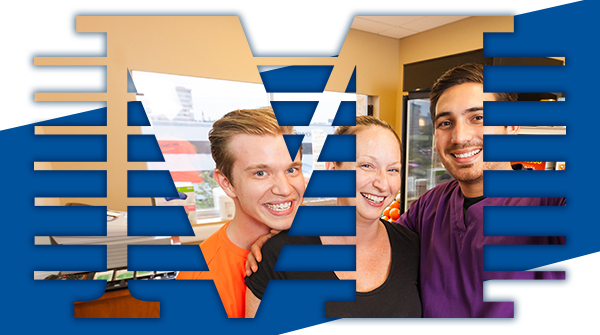 We are also home to a team of dedicated professionals, all of whom deliver nationally recognized, award-winning care. Memorial Regional Hospital has received Press Ganey’s Guardian of Excellence Award for Patient Satisfaction (Inpatient Behavioral Health) for three consecutive years, has been recognized by Truven Health Analytics as one of the nation’s 50 Top Cardiovascular Hospitals, and for the last seven years has received the Gold Plus Achievement Award from the American Stroke Association.